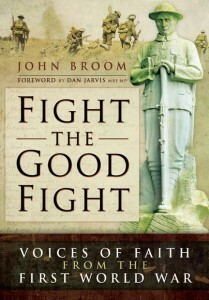 Fight the Good Fight: Voices of Faith from the First World War the first book by John Broom, was published in October by Pen and Sword – the Barnsley based publishing company who specialise in a variety of local history and specialised subject. John, a history lover, graduated in 1991 and has pursued a career in teaching, firstly in History, and latterly as a Specialist Teacher in Autism. In 2006 he was left a collection of 170 letters and memorabilia from his late father who served in the Desert Rats during WWII. This sparked an interest in discovering the links between twentieth century warfare and religion. pursued a career in teaching, firstly in History, and latterly as a Specialist Teacher in Autism. 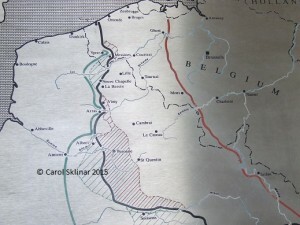 Fight the Good Fight: Voices of Faith from the First World War investigates nationalism and militarism in Europe and beyond during and just following the Great War. 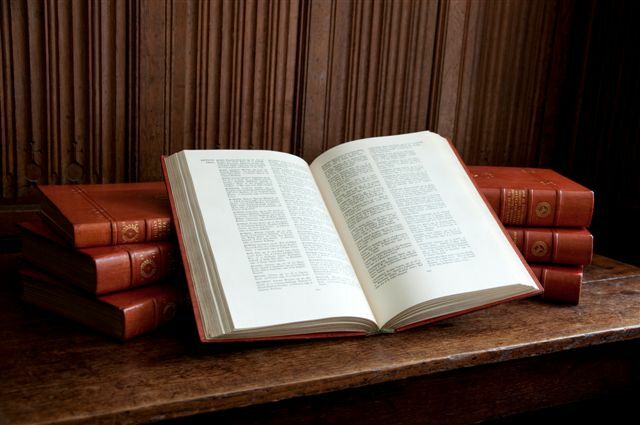 The book investigates how the Christian faith that united millions around the world is interpreted in many ways. Whether Church of England or Nonconformist, Catholic or Presbyterian, German Lutheran or the American Church of Christ in Christian Union, men and women served their country, or not, according to their beliefs. The book focuses on 23 individuals and families, including some whose names are known world wide. While others were a story waiting to be told. Each case has been well researched, includes 23 plates and is stacked with notes and references for you to make further study somewhat easier. At that time we were a country divided by class, politics, denomination and gender, but none the less these people were united in one cause to Fight the Good Fight. Fight the Good Fight take the subject of Christianity during conflict to the wider audience. Just to give you a little taster of who is in the book, before I let you know where you can get your copy, which is a nice pressie for someone for Christmas or save your Christmas money and treat yourself in the New Year. Who has a chapter dedicated to them – a lady known the world wide and recently been in the news, Nurse Edith Cavell, who was executed in 1915. The Chavasse Family, focusing on Noel Chavasse V.C. and Bar, who was awarded the Victoria Cross twice and was an Olympic athlete. Fight the Good Fight also includes tales of brave Belgian priest, a French heroine, a German U-boat commander and America’s most decorated war hero. Receiving glowing reviews from academics and historians, Fight the Good Fight has prices ranging from £15.99 and is available from: Pen and Sword ; Amazon (hardcover or Kindle) ; or directly from the author himself, via his blog – maybe if you ask nicely, you may get a signed copy! This entry was posted in General, News on November 29, 2015 by carol. If you have read my previous blog about the college, you may be interested to know about one more Epsom College man who fought for their King and Country. There are many men recorded within the pages of the Epsom College Register 1855-1905. Many followed in their father’s footsteps and joined the family firm or joined the political services, or even worked for international banks or businesses, while others joined the military as a career. But it is not a career man who is the focus of this entry but a man who was an architect. Who is this man, with a name that seemed so interesting as to tempt me to tell you about him? William Leonard Boghurst Leech, a name that doesn’t seem to trip of the tongue but still commands attention. William, for short, had his birth registered in the last quarter of 1887, in the Stow Registration District of Suffolk, being born in Woolpit, Suffolk. He was the son of Albert H Leech, a Registered General Medical Practitioner, also born in Woolpit, while Annie M was his mother. In the 1891 census William is three years old and his younger sister, Emily M is one years old. I had been looking for a marriage for Albert and Annie M, but after a few searches, gave up – it was not that important. But, what do they say about people who wait? Well, I waited and the 1891 census handed me her maiden name upon a plate, or a census sheet! Also living in the house, ‘White House’, Woolpit are two other ladies, listed after three servants. Who are these ladies? Frances Boghurst, widow, are you getting a clue now? Frances was Annie M’s mother. Also in the house was Agnes J Boghurst, Annie M’s sister. Don’t you love it when everything just comes into place! Ten years later Master Leech was 13 years old and what a merry chase he led me while looking for him in the census. Eventually, he gave in and there he was, Leech, Wm. Leonard Boghurst, as a pupil in Epsom College, College Road, Epsom. The enumerators book describes the institution as ‘Epsom College, A School with Masters & Pensioners detached Houses’. At the time of the census, Thos. Northmore Hart Smith was the Head Master, who gave his occupation as ‘Head Master, Clerk in H O, Ch of E’ (Clerk in Holy Order, Church of England). 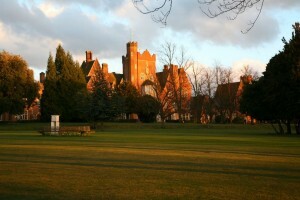 The college was founded in 1855 with the patronage of Her Majesty Queen Victoria. The founder, Dr. John Propert raised funds to help orphans and widows of the medical profession. The Royal Medical Benevolent College opened its doors and gave education to more than 100 boys in its first year. William’s entry in the College Register list his parent as Mrs. Leech, Seven View, Coalport, Trowbridge, Salop., so it looks Albert had died prior to 1905 when he left the establishment. By 1911, William has left Epsom College (he left in 1905), and can be found by his full name, living at 5 Waverley Street, Nottingham, in the home of Mr Walter Snushall and his wife Sarah Anne. Walter is a brewer’s agent but also in the house is Kenneth, his son; Noel Hartley West an insurance inspector and his wife, Dorothy; Henry Alderman Dickman and William, who are both architect’s assistants, followed by Bridget Mary Doyle, a 21 year old servant from Dublin. The house on Waverley Street had 10 rooms, so there may only been a little bit of sharing! We know William was an architect’s assistant but he eventually became an Associate of the Royal Institute of British Architects. It was just over three years later that war was declared and men volunteered to fight for King and Country as ‘it would be all over by Christmas’. William at this time was living in Ealing and enlisted in London, joining the 9th (County of London) Battalion (Queen Victorias Rifles), becoming Rifleman 3407. William’s regiment had served in France from late 1914, but it was only May of 1915 when he had been wounded in Flanders and sent home to England. William died of wounds received in action on the 14th of May 1915 in Fort Pitt MIlitary Hospital, Chatham. 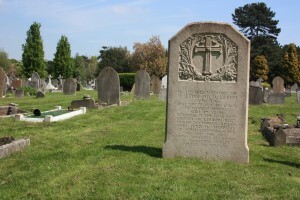 He rests in Sutton Road Cemetery, Southend-on-Sea along with 280 identified casualties. recorded and transcribed as LEACH W.L.V. Anyway, his service number was correct, as we know as was his regiment and his date of death. The card did not have much more information to tell, but there was a note from the regiment asking how to dispose of the 1914-15 Star. Record No. 189636, Registry No. E(? 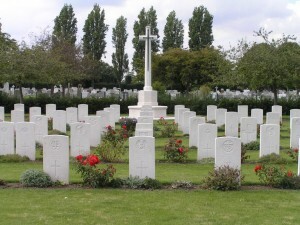 )/84872/1 in the Army Register of Soldiers’ Effects tells confirms his full name, regiment, date and place of death and confirms that all his outstanding monies from the army will go to his mother, Annie M.
Probate for William of 28 Edgerton Gardens, West Ealing, was granted in London on the 17th of June to Annie Madaline Leach, widow (we now know his mothers middle name), with effects of £1951 18s 1d. This was revoked on the 18th of November the same year and further granted on the 8th of February 1916. I had looked for Albert and Annie M’s marriage but seemed to fall short of an entry, now I had the information of Annie’s surname and middle name, all fell into place. Annie Madaline Boghurst married Albert Herbert Leech in the late summer of 1886 in the Tendring Registration District. This entry was posted in General on November 26, 2015 by carol. Aren’t relations wonderful? The close one, the ones you find along your family history trail and the ones you have known for a while as friends who then end up being distant family, but nevertheless family. One such friend who turned out to be family through a cousin connection, has given me permission to use his picture as a basis for a blog. It appears we know who the men were, how old they were and how they died. But in life whose sons were they? Did they have a wife and children? They had to love and be loved by someone. Starting from the top, Wilfred Hargreaves, was the son of George and Martha Hargreaves who in 1901 were living at Spink Lane, Pontefract. Wilfred was 16 years of age, being born around 1885 in Netherton. George earned his living as Colliery Under Manager, while Wilfred also worked in a colliery, probably the same one as his father. Wilfred’s elder sister, aged 19, had no occupation and probably helped run the house. Two younger siblings, born in Netherton and East Ardsley were scholars. Ten years on, Wilfred has been married 3 years to Marion, and is the father of a one year old son, Ronald. The family are living in Netherton, where Wilfred works as a Colliery Deputy – he seems to have gone up in the world and taking after his father. A Deputy Re-enters Gas to Save His Comrade. Wilfred rests in Thornhill Cemetery, West Yorkshire. There is a marriage for Marion Hargreaves, could it be that with a young child she remarried? Next on the memorial is Sydney Lockwood. Sydney was born according to SWDTGW in Streethouse, near Wakefield. In the 1901 census, home was Alpha Homes and Sydney was one of six children to George H Lockwood and his wife Ruth. George, born in Huddersfield was a coal hewer, while Irvine and James, two of Sydney’s elder brothers also worked at the colliery. Foster, his 16 year old brother was a railway porter. Ten years on, Ruth is now a 54 year old widow, who very kindly filled in that she had been married 30 years, give birth to 9 children and buried 3 children and a husband. The enumerator struck through this information. Sydney aged 16, is now a colliery driver and his youngest sibling, Florence is at school. There is a death entry for Ruth, aged 54 dying in the late summer of 1911. Sydney (Sidney), enlisted in Leeds, joining the KOYLI and becoming Private 11948 in the 6th Btn. A quick look, using his service number does not bring up a Service Record for him, but there is a Medal Card, which tells that he entered from on the 21st of May 1915, making him eligible for the 1915 Star and the British and Victory Medals. 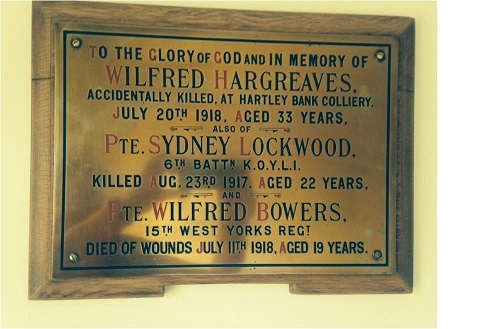 Sydney died of wounds on the 22nd of August 1917 (the memorial gives the date as the 23rd). A look at the Register of Soldiers’ Effects, gave the clue to his mother’s demise, as his 5 siblings, remember the details of the 1911 census, all receive an equal share of his monies, including a war gratuity – each received 9s 10d by September 1919. 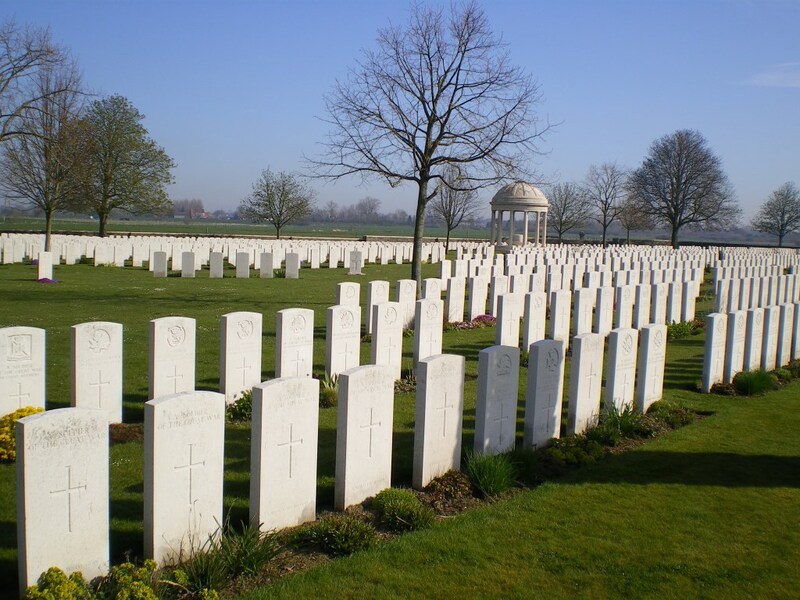 He rests in Bedford House Cemetery, a short distance from Ypres on the N336, along with over 2100 other identified casualties. Finally, but no less important comes Wilfred Bowers, the son of Walter and Frances. Wilfred was born in 1898/9 and in the 1901 census he was living with parents and 9 siblings, ranging in ages from Wilfred aged 2 to Mary Ann aged 17 and all born in Netherton. Home in this census was Town End, Shittlington. 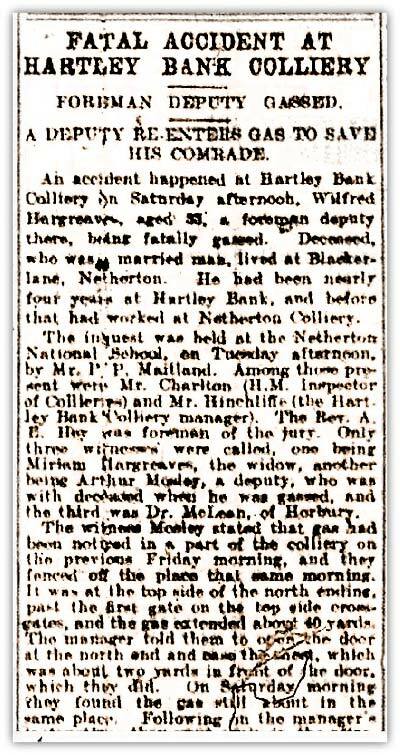 Walter, born in Netherton, was a coal hewer; Francis (as census), worked at home; Mary Ann was a rag sorter and Herbert aged 15 was a coal hurrier. Ten years later, the family had grown, and the census tells that Francis had given birth to 14 children, 10 of which had survived to be enumerated in 1911. Nine children were at home in the census, it looks like Mary Ann had moved on. All the boys n the family were either coal hewers or ‘trammers down mine’ (2 youngest boys). Home in 1911 for the family of 11 was a 4 roomed house and just classed as Netherton. Where did the 8 men and boys, and the 3 women or girls sleep? Possibly, in any available space! Wilfred enlisted in Wakefield, joining the Prince of Wales’s Own (West Yorkshire) Regiment, and became 43355, he rose to become a Lance Corporal. The SWDTGW has his service number as 43355, while other sources have the number 53355.
identified casualties, from the Commonwealth, China, Czechoslovakia. Poland and Germany. 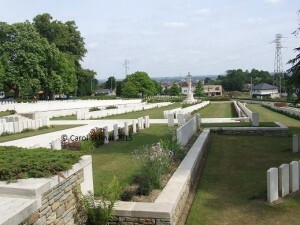 There are also headstones to nurses, VAD personnel and Commonwealth War Commission staff. I visited this cemetery in the summer but in the 100’s of pictures I took that day there is sadly not one for Wilfred – looks like another visit is on the cards. This entry was posted in News on November 22, 2015 by carol. What did you get up to on Heritage Weekend? Heritage Weekend, September seems such a long time ago! It was now until I was transferring the photographs from my camera to get ready for another outing that I found the photographs I had taken during Heritage Weekend. During that weekend up and down the country, places that are not normally open to the public, throw open their doors for us to peek inside. These buildings organise volunteers, some provide refreshments and talks. While others just leave their buildings, mainly churches, open – how wonderful is that? What did I get up to? Normally I plan where I want to go, sometimes it seems like a military operation! This year, due to limited time, I was hoping to ‘kill two birds with one stone’. Well, that was the plan. 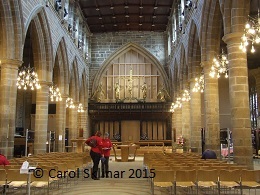 So, I headed off to Wakefield Cathedral. I’m not a great lover of the ‘new’ layout, but I can understand why all the pews have been removed and replaced with chairs. 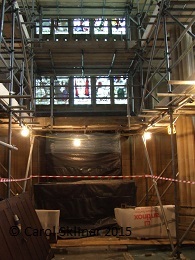 The building was partially closed due to a continuing programme of work behind the rood screen. But guided tours of behind the scenes were being offered and that fell in nicely with my need to photograph a memorial, as additional information for a project……….looks like everything would go to plan. What do they say about the best laid plans? 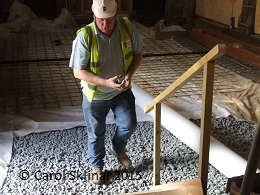 After signing our life away, opps, waver, myself and two others donned our fashionable hardhats and followed our guide outside the building, behind Treacey Hall and entered by the side door that takes up into to the Cathedral or down to the rooms below. 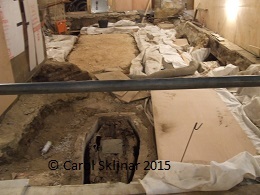 see that part of the floor had been removed and excavated exposing three coffins. One was quite close, the coffin was not in a bad condition to say where it had been and now long it had lain beneath the floor. 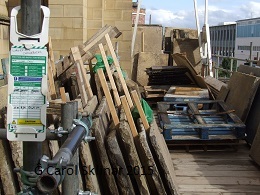 Another coffin lay had been protected by wood sheeting as a pipe had been placed over it for the duration of the work. But, beside the pipe a small room had been found. Sadly, due to good old health and safety, we were not allowed to venture inside. Our guide certainly knew his stuff, keeping his audience captive while he told us about the building work and the differences between the old renovation techniques, which must stay, and the modern sympathetic ways of preserving. Our tour ended, but there were not many questions to be asked, as we were a small group it was easy to just chip in and ask questions as we went along. The tour lasted just under an hour and was well worth venturing into Wakefield on that September Saturday afternoon. If you remember I was also going to look for a memorial. Did I find that memorial, you might ask. Well, remember the best laid plans of mice and men…………..No, the memorial remains unfound, hidden behind sheet board or plastic and will remain so until around Easter 2016, when another visit is needed. This entry was posted in General on November 22, 2015 by carol. 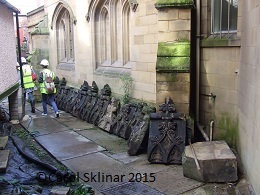 E. Stead on Drighlington’s War Memorial……… a surprise for the researcher. The recent Remembrance Day commemorations will no doubt have seen an increase in people attending services at churches and war memorials throughout the country. Unsurprisingly at this time much of the interest will probably have been shown in the high numbers of service personnel who lost their lives in the First World War. The village of Drighlington lost 62 men according to the list of names on the war memorial in Whitehall Road, but there are some names missing from the memorial, as indeed there will be on many village memorials of the time. All of the stories behind the 62 names on the memorial can be found in a 200 page file to be found in the reference section of Drighlington Library. Because of the commemoration of the one hundred years since the start of the First World War the names on memorials for the Second World War have tended to be left behind in terms of research into their lives and where they met their sad demise. There are not as many names on the Second World War panel on Drighlington’s memorial in fact, but at least one name tells an intriguing story that will surprise many who have looked at the name, E. Stead, and wondered what regiment they served in or what ship they went away in. With the help of the extensive databases now online at ancestry.com and now the 1939 register at Findmypast.com the story of E. Stead can be revealed, at least in part. The recent release of the 1939 register gives historians a snapshot of where people were at the outbreak of the Second World War. It was really a census in all but name and gave details of families and where they lived and what work they did in the first year of the Second World War. Researchers looking at the First World War are greatly helped in their quest to tell the soldier’s stories by the release of the 1911 census. Unfortunately, it will be many years before we can see the 1931 census, which will help in finding out about the lives of servicemen of the Second World War. One name, that of E. Stead, on the village war memorial shows what fascinating stories lay behind these names, often forgotten in family histories. Surprisingly, the E. on this panel did not stand for Ernest or Edgar, it signified the name of ‘Edith’. For Edith Stead’s name is included on the Second World War panel of the Drighlington War Memorial. There are of course other memorials which include women as part of their commemorations, but probably not too many. So, who was Edith Stead, and why is her name on the panel of the memorial? Edith was a Drighlington lass and was the daughter of Samuel Stead, who lived at 43 Spring Gardens in Drighlington. Samuel is shown on the 1939 register as living with his wife Christine, who was too young to be Edith’s mother, and so Samuel had been married before it seems. Edith had a brother, Harry, who was three years younger than she was but there were three other siblings in the family household at the time as well. Edith herself was born in 1912. At some stage Edith decided to go to London to work. Whether this was a long time before the start of the Second World War or not only family historians can clarify. However, Edith takes up residence at 166 Southwark Bridge Road and starts to work in a homeless shelter in nearby Elephant and Castle. It is this job that seals her fate, as on the night of December 29th 1940 she was killed when the Luftwaffe bombed London once more and the shelter in which she was working, Keyworth Street Shelter, suffered a direct hit. Several casualties are known to have occurred in this same bombing incident but current information about the actual numbers is sparse. Edith Stead’s name was recorded in the records of ‘Civilian Casualties of the Second World War’ and for that reason her name has found its way on to the Drighlington War Memorial. She was not a soldier, sailor or airman, but a young girl who went to London to do her bit and found herself working with the homeless. At the same time as she was working in the shelter her father Samuel was ironically working as part time Air Raid Warden in Drighlington, in addition to his job as a weighing machine repairer. The news of his daughter’s death must have been a great shock for Samuel Stead and it is quite fitting that he decided that her name should be put forward for inclusion on the village war memorial, which it has been on now for many years. Many people will be surprised to learn the true story behind the name of E. Stead on the village memorial I am sure. The Commonwealth War Graves Commission gives information that her death was reported to the Metropolitan Borough Cemetery, Southwark, and gives the impression she may be one of the 1007 civilian war dead resting there. The Civilian War Dead Roll of Honour, commemorating some 67,092 men, women and children whose deaths were due to enemy action during WWII is displayed in St. George’s Chapel, Westminster Abbey. 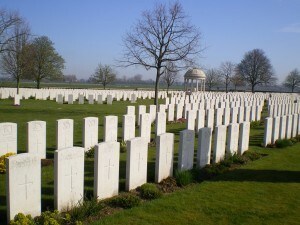 Note: WWII Civilian War Dead can be searched on the Ancestry website. This entry was posted in General on November 21, 2015 by carol. A soldier’s widows unhappy marriage – William Dallow(? ), miner, Methley, a discharged soldier with two wound stripes, was summoned by his wife for persistent cruelty. – Mr. Benson Bailey, of Leeds, who prosecuted, stated that the applicant formerly lived at Rawdon, and when she met the defendant she was a soldier’s widow, with three children, her husband having been killed in July 7th 1916. Complainant and defendant were married on December 22nd 1916, and Mr. Bailey suggested that defendant married this woman in order that he could get the money she had received from the Government in respect of the death of her first husband. Owing to defendant’s assaults and threats complainant was compelled to leave him on August 8th. – Complainant said defendant was not only unkind to her, but he was unkind to the children. He wanted her first husband’s medal, and when she would not give him it he struck her. Defendant had a pension of 11/- a week, and he was also working as a miner. – Evidence was given by two neighbours and P. S. Pearson. The sergeant said the parties appeared to have lived unhappily. Defendant admitted to him that he had struck his wife and that he was sorry for what he had done. – Defendant denied ill-using his wife. – The Bench granted complainant a separation order, and defendant was ordered to pay her 15/- a week. He had also £2 4s costs to pay. I have been looking for a William Dallow in and around the Methley area and in Army records as we have been told he was in receipt of a pension of 11/- per week. The newspaper does not give the name of his wife, so she remains a mystery. A look through the G.R.O and a search of Freebmd sheds not even a faint glimmer of light on who William was, even his date of marriage is known. Have I read the newspaper article correctly when transcribing his name? Probably not! There is a black line through his name due to photocopying directly from microfilm, making some of the letters a matter of chance. The only chance in this case was his name. Do you know who William is? Do you know his wife’s name and the name of her first husband? If you do know, why not let me know! This entry was posted in General on November 14, 2015 by carol. Arthur Waterman, snr in WWII ‘did his bit’ for his community and was recognised for his efforts during this time. Arthur Waterman (senior) – 65-70 years, 30 Fearnville Place, Leeds, 8. Civilian, Leeds. Civilian Occupation – Senior Partner of Messrs A. Waterman Ltd., Outstanding assistance in difficult and dangerous Bomb Disposal Work in Northern Command on various dates. Recommended by – The Bomb Disposal Company, R.E. Grounds of Recommendation – During the last two years, Mr. Waterman has consistently placed at the disposal of the Directorate of Bomb Disposal, free of all cost or charge, his own services and the resources of his plant and equipment i connection with the excavation of U.X.B’s in York and Hull. He has also purchased on several occasions special plant for this purpose. He has on innumerable occasions travelled at his own expense to bomb excavations to give 14 B.D. Company R.E., the benefit of guidence and experience, willingly incurring any risk entailed by the presence of U.X.B’s. All the operations in which he has so placed his services have been successfully completed. Statement of Major A Cleghorn, R.E. – In June and July 1942, Mr. Waterman made 18 visits to excavations for U.X.B. in York assisting and advising the O.C. Company the late Major Bingham, R.E. regarding difficulties experienced in excavating in running sand. He was present in an advisory capacity during the actual recovery of a 500 kg bomb on 6th July 1942. 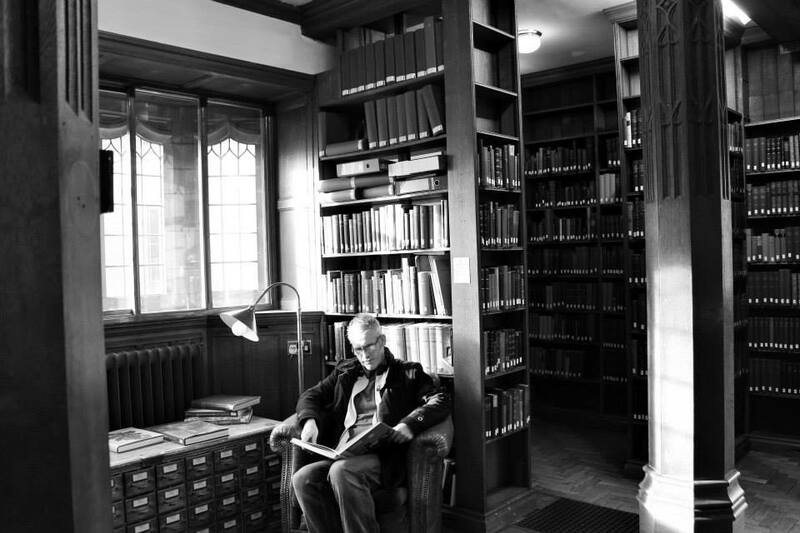 Thereafter Mr. Waterman has up to date made 50 – 60 visits to Hull advising the present O.C. Company regarding 4 excavations for U.X.B’s, all of which were in very difficult ground to the presence of silt, which required the use of special plant and equipment. Mr. Waterman was again present when a 500 kg bomb fitted with a 17A long delay fuse was recovered under very difficult conditions on 14th January, 1943. The value of plant and equipment, including steel sheet piling cranes, winches, pneumatic driving hammers, and extractor gear etc., loaned to the Company, approximate £2000 in value. (signed Alex Cleghorn Major, R.E. O.C. No. 14 Bomb Disposal Coy. R.E. Statement by Brigadier Garsen – Mr. Waterman has voluntarily rendered outstanding assistance, both personally and officially, in most difficult and dangerous Bomb Disposal work in Northern Command. I consider that his services fully merit public recognition. (Signed C. de L. Garsen, Brigadier, Chief Engineer Northern Command. Miss J. M. Milne, Home Office, Whitehall, London, was again in receipt of communications, this time informing of the work and assistance Mr. Waterman has contributed. A letter to Miss Hamlyn – Miss Wormington has passed me your letter of the 22nd February about Mr. Westerman’s activities in connection with Bomb Disposal Service. I think that the C.D.G.A. Committee might be prepared to make a recommendation for an ‘operational gallantry’ award such as is given for good service coupled with some element of danger. If you can let me have some statements …………………… Her reply goes :- With reference to our recent telephone conversation about Awards and Honours, I enclose particulars about Mr. Waterman who has given a great deal of help to Bomb Disposal. If you still feel that Mr. Waterman might properly be considered for an immediate award, the Regional Commissioner would be glad if you would have his case brought to the notice of the Gallantry Awards Commission. The Bomb Disposal Company are most enthusiastic about the help Mr. Waterman has so willingly given to them on all occasions……………….Northern Command would be prepared to support the recommendation. I did omit from the original section that the Treasury recommended the M.B.E. Another letter to Miss Milne, confirmed the Mr. Waterman’s full name – Arthur George Waterman and that he was actually awarded the M.B.E. which was Gazetted on May 30th 1944. ‘CENTRAL CHANCERY OF THE ORDERS OF KNIGHTHOOD, St. James’s Palace, S.W.I. 30th May, 1944. The King has been graciously pleased to give orders for the undermentioned appointment to the Most Excellent Order of the British Empire, for the following awards of ………….. To be an additional Member of the Civil Division or the Most Excellent Order of the British Empire:- Arthur Waterman (senior), Public Works Contractor, Leeds. For services in difficult and dangerous circumstances. There is an Arthur George Waterman who died early in 1954 in Leeds – could this be our man who did so much to help his and other communities in Yorkshire during World War II? This entry was posted in News on November 13, 2015 by carol. Sidney Botham and Ernest Williamson during WWII ‘did their bit’ for their community and were recognised for their bravery. Shall we start with Sidney first? Sidney was born in 1910 in Sheffield, being the son of John and Emily Botham, who in 1911 were living at Hoyland Road, Hoyland Common- John, was working as a butcher. Sidney, lived through the Great War and by 1943 he had been a police constable for just over 11 years. Home, was 8 Carlton Terrace, Pontefract for Sidney and his wife of 10 years, Ruby (nee Russell). As both Sidney and Ernest are both linked to an event, it is now Ernest’s turn! There are three Ernest’s who are born within two years of each other in Yorkshire, but the one that fits the most seems to be the son of John and Harriet Williamson, who in 1911 were living at 8 Hey Lane, Lowerhouses, Huddersfield. John worked as a tailor. Ernest, like Sidney was also a policeman, but Ernest is listed as Police War Reserve, living at 146 Lower Oxford Street, Castleford. Case 2119A – Mr Sidney Botham – 33 years. Police Constable, West Riding Constabulary, Wakefield – 11 1/3 years. 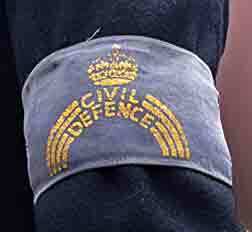 Civil Occupation – Policeman. Assistance in the rescue of two Civilians trapped in a burning house at Darrington, York,s on the night of 18th September 1943. Both cases were Recommended by the Committee and the Treasury 14th December 1943 and Gazetted 21st March 1944. Particulars of Action – At 23.45 hours on Saturday, 18th of September, 1943, a Halifax No.2 bomber number B.B.245 crashed, burst into flames, demolishing and setting on fire a row of cottages 200 yards on the Womersley side of Darrington Cross Roads, Darrington, which is three miles south of Pontefract. The plane, whose parent station was at Riccall R.A.F. Station, was flying north Jto South on a night flying exercise, and all six of the crew were killed. 1032914 Sergeant John Henry Viercant, 4th Heavy Battery, R.A. Womersley, was travelling along the Womersley Road, Darrington, in a motor lorry, in charge of the following men of his unit:- 3662690 Gunner Hugh Donaghy; 858099 Bombardier William Yorkston; 1043079 Gunner Charles Savage; 844866 Gunner John McLeod; 101152 Gunner H Mae-Bishop, and saw a large burst of flame about one mile ahead. This party was off duty / Police. That was the event, but lets hear about the event in more detail! Police Constable 17 Sidney Botham and Police War Reserve 476 Ernest Williamson were on motor patrol duty on the Great North Road, Ferrybridge, when they saw a red flash in the sky towards Doncaster. They immediately proceeded in this direction, and arrived on the scene just after Sergeant Viercant and his party. Four of the cottages were burning furiously, but in spite of this Sergeant Viercant, Gunner Savage, Gunner McLeod and the two policemen, seeing by the light of the flames saw two persons John Wardle, and his wife, Alice Maud, trapped under fallen debris, fought through flames and, removing the fallen masonry, etc., rescued Mr and Mrs Wardle, and thereby saved their lives. During the whole of this time ammunition was exploding in all directions. All five men further searched the house but failed to find anyone else, and were eventually forced to leave the house owing to the fire, bursting flares and smoke. These men, together with Bombardier Yorkston, Gunner Donaghy and Gunner Mae-Bishop, then gave all their attention in an endeavour to rescue the trapped occupants of the plane. They broke open the rear turret, and as ammunition was still exploding from it, and to safeguard themselves, Gunner Donaghy climbed inside, removed five belts of live ammunition, and, with assistance, the turret guns. In an endeavour to locate the crew, Gunner Donaghy, at great personal risk, then proceeded along the narrow body of the blazing plane, and would have gone farther but Sergeant Viercant, realising that his man would soon be cut off by flames, recalled him to the rear turret. All men had worked with courage and disregard for personal safety, especially Gunner Donaghy. The soldiers carried on trying to keep the flames down, and formed a bucket chain party, but the fire got out of control. The two police officers had taken charge and caused the necessary N.F.S. and Civil Defence Services to be hurried to the scene. There were 4 people killed and 4 people insured who lived in adjoining cottages and a further 6 people rendered homeless. (Signed C.G. Vaughan, Chief Constable West Riding Constabulary). Statement of Sergeant Viercant – About 23.40 hours on Saturday 18th September 1943, I was in charge of a party of men of my unit. We were travelling by lorry along the Womersley Road, Darrington, from the direction of Pontefract towards Womersley. I then heard a thud, and immediately following this I saw a large burst of flame what I judged to be about 1 mile ahead of us in the vicinity of the road on which we were travelling. Appreciating that something was wrong I ordered my driver to speed in this direction. In the space of about two minutes we reached a place I now know as Chapel Hill, Darrington, and there found that an aeroplane had crashed into a block of cottages on the offside of this road facing Womersley, and some two hundred yards on the Womersley side of Darrington Cross Roads. Three or four of the cottages were then partly demolished and an aeroplane enveloped in flames was in the midst of the debris. Ammunition in the plane was exploding almost incessantly, and bullets were whizzing in all directions. By the illumination of the fire I could see a woman trapped about the middle of the debris of one collapsed house. Her whole body up to her neck was covered by fallen masonry, and a man hear her was in a sitting position trapped in the debris up to his knees. These people were obviously helpless to assist themselves and were at this time surrounded by flames rapidly increasing in intensity. Along with 1043079 Gunner Charles Savage, and 844866 Gunner John McLeod of my unit I at once broke through the flames, and we jointly set about removing debris from around these persons in an effort to rescue them. At this stage we were joined by two policemen who also entered the burning building and assisted us. We rescued the two people and removed them on the road clear of the fire, when they were in turn taken to a nearby house. Before the rescue was effected, the flames had reached these people, and I think they had both suffered burns, cuts and bruises. Despite the imminent danger of fire and smoke, my two men and the policemen helped to me to make a further search of the house for possibly trapped persons. We failed to find anyone else, and were driven back by fire, bursting flares, and smoke. We then made an effort to enter the rear turret of the plane, and here we were joined by 3662690 Gunner Hugh Donaghy, 101152 Gunner H. Mae-Bishop and 858099 Bombardier William Yorkston, all of my unit. We broke open the rear turret with a shovel and an axe. Ammunition was still exploding from within it, and to safeguard us from the danger of this Donaghy climbed inside the turret and removed five belts of live ammunition, and then with assistance removed the turret guns. Donaghy then tried to go along the body of the blazing plane to search for members of the crew, but I recalled him because he was thereby putting his life in peril. We then, as a party had to break off the rescue work owing to the flames being so intense. My men and the police worked with utter disregard for their own safety. We then formed a bucket chain and fought the flames, but this was useless, and the fire got completely out of control, and further attempt at rescue would have been futile. The fire was later extinguished by N.F.S. Units. It was moonlight, clear, and there was no wind. The nose of the plane was facing westwards after the crash. I cannot say in what direction or at what height it had been flying prior thereto. (Signed 1032914 Sgt, John Henry Viercant. P. S. 17 Sidney Botham – At 11.45 pm Saturday 18th September 1943, I was on motor patrol duty with W.R. 476 Williamson in the Great North Road, Ferrybridge when I saw what appeared to be a red flash in the sky coming from the direction of Doncaster. I proceeded South in this direction, and 11.50 pm came upon the scene of a crashed aircraft in Womersley Road, Darrington. The plane had crashed into a block of occupied cottages at the side of the road. Both the plane and four of the houses were burning furiously. A number of soldiers of the 4th Heavy Battery R.S. Womersley were already on the scene. After ascertaining from Special Constable Waterfall that Pontefract Divisional Headquarters had been warned concerning the crash and resulting fire, I along with E. Williamson joined a number of soldiers in removing debris from a demolished and burning house where it could be seen that two persons were almost completely covered by fallen masonry and who were in immediate danger of being burnt to death. These two persons John and Alice Maud Wardle were extricated and moved to safety, later to Pontefract Hospital. By this time other soldiers joined the rescue work and an effort was made to rescue possible occupants of the plane. During this time rescue was being carried our ammunition was exploding almost incessantly. In spite of this, one of the soldiers entered the plane by the rear turret door, after the door had been broken open with an axe. He then removed life ammunition from the plane, and with some assistance the turret guns. This same soldier attempted to pass farther along the aircraft in search of possible members of the crew but the flames by this time had reached such proportions that any further attempt at rescue was impossible. The soldiers then formed a bucket chain party until the arrival of the N.F.S., meanwhile nearby houses were evacuated owing to possible danger of fire. Later with the N.F.S. in attendance the C.D. Rescue Parties became operative and rescue work was resumed. At 5 am 19.9.43, four bodies were recovered from the wrecked house of Harry Dean, ‘Glencoe’, Womersley Road, all four bodies were badly charred. The fire was finally extinguished by the N.F.S. at 5.30 am. A letter from the Civil Defence Regional Office, ‘Wheatfield’, Wood Lane, Headingley, Leeds, to Miss J. M. Milne, Ministry of Home Security, Whitehall, London, tells that the Commissioner and the Chief Constable agreed that as far as the two policemen were concerned that ‘they might receive a personal letter of congratulation rather than any award or commendation from the King. These letters world presumably come from the Air Ministry if it were decided to send them. Details if the actions of the soldiers have already been sent to the G.O.C. -in-C., Northern Command, but I am letting you have them to as it may be helpful to bear in mind the part they played when considering the policemen’. The two policemen did not get an award but were Commended for Brave Conduct and were Gazetted on 21st March 1944, Supplement pages 1330/1. This entry was posted in General on November 12, 2015 by carol.